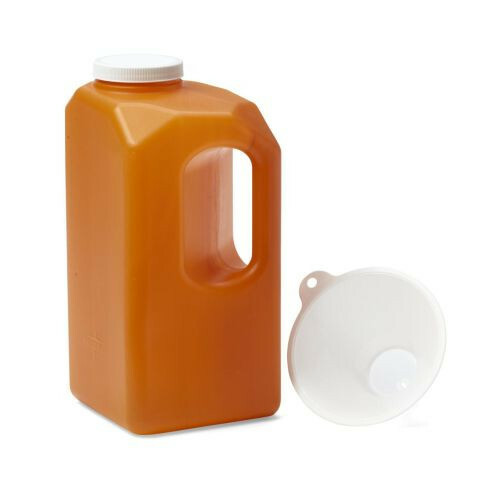 The MedLine 24-Hour Urine Collection Bottle is a unique container designed for all day/overnight urine collection. 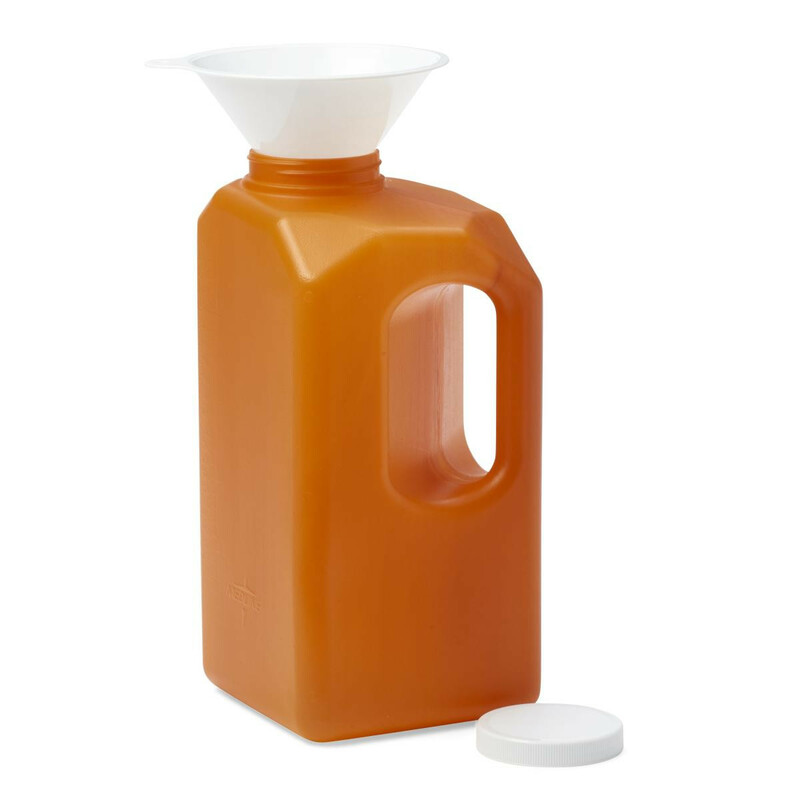 The MedLine DYND80024 Specimen Container can hold a liquid volume of up to 3000 mL/96 oz. It features easy to read graduated notch reading that measure in ounces and milliliters. It comes with a wide, easy-to-grip handle for maximum user convenience. Does it have a tight cap for it and how big is the opening.Can you use it without a funnel? The lid does have a tight fit for better sample security. For specific information such as the opening size, we recommend contacting the manufacturer for details. Does this bottle come with a screw cap for no-spill carrying? The urine specimen container is available with a screw cap for added security. Please note that the picture showing this product is misleading, although the text description is accurate. The funnel shaped calculi strainer is not included with this product. You will only receive the bottle with a threaded screw cap. For camping, it worked great! I got tired of having to get up in the middle of the night, get dressed, stumble out of the tent, stumble to a place to urinate. Collection bottle was perfect...size is large enough to hold a lot. Easy to hold and maneuver in the dark. Bought one for each of our adult leaders, they loved it!